Why List your Yacht For Sale with Ed Chapdelaine? During his career as a yacht broker, Ed has a proven reputation for being a dynamic, persistent and determined salesman with a strong set of yacht sales skills. When you want the best sales representation for your yacht, Ed Chapdelaine is the broker to choose. Our company is goal oriented to sell each individual client’s yacht for the highest price possible and in the shortest amount of time possible. Towards that end, we use our expert knowledge of the market value for your yacht, past and present combined with our experience at marketing to drive enquiries and procure offers. We will custom develop a marketing plan which will take into consideration the client’s cruising plans and goals and will advise the client honestly so that they may make well informed decisions. Our long list of satisfied clients is testament to our success and references are always proudly furnished upon request. Marketing – Advertising and Promotion. Chapdelaine & Co will promote a client’s yacht for sale using advertising in the print media in such nationally read yachting publications such as Yachting Magazine, Power & Motoryacht Magazine, Florida Sportsman Magazine, Passagemaker and other publications. We aim or “target market” to the prospective buyers who are qualified to buy the client’s particular yacht. 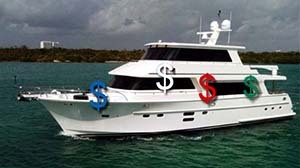 Additionally, we are experienced in promoting yachts for sale using digital media on the world-wide web. 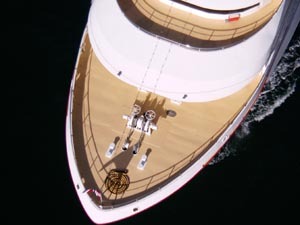 Employing the MLS for the yachting industry (www.yachtcouncil.com) as well as (www.yachtworld.com) and other searchable databases, we make sure that if someone is looking for a yacht like yours, they can find it. Boat Shows are another potentially powerful means employed by Chapdelaine & Co in order to promote a client’s yacht for sale. 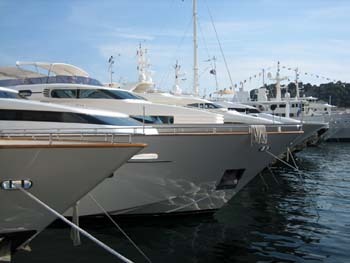 On the East Coast beginning with the early September show in Newport, R.I. and following the geese south to Norwalk, CT then Annapolis, MD and on down to the Fort Lauderdale International Boat Show at the end of October the fall shows may be all employed in order to get a particular yacht sold. The Miami Yacht and Brokerage Show during the middle of February is a zoo but at times may be effective and the Palm Beach Boat Show in late March has grown into a terrific venue for displaying quality yachts to qualified buyers and is still a great value. So, in short, from listing to selling, Ed Chapdelaine is a well prepared expert in managing the sale of quality yachts and has the unique sales skill set which sets him apart from all other yacht brokers. I welcome the opportunity to meet with and discuss accomplishing your goals with you.